Berita baik untuk semua yang suka travel murah! hehehe..ye macam sally la kan....Air Asia buat julung kalinya memberi diskaun hampir 20% off all seats, all flights! 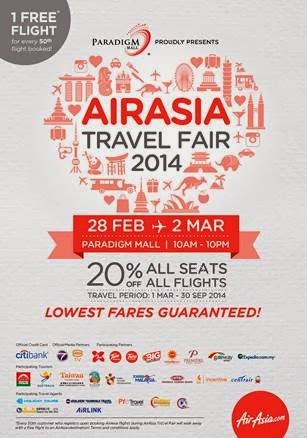 AirAsia, the world’s best low cost airline will be holding its very first AirAsia Travel Fair (AATF) from 28th February – 2nd March 2014 at Paradigm Mall, Petaling Jaya with great deals for everyone from 10.00am – 10.00pm throughout the three days. The AATF will feature over 20 booths with fun-filled interactive activities throughout the three-day fair, with participation from various tourism bodies, as well as other AirAsia partners such as the BIG loyalty program, Tune Hotels, AirAsiaGo, AirAsiaExpedia, Tune Insurance, Citibank, Premiere Hotel Klang, gateway@klia2 and many others. Visitors to the fair will be able to get 20% off all seats on all flights throughout 28 February – 2 March 2014, for the travel period from 1 March – 30 September 2014, with 1 Free Flight* for every 50th flight booked during the AATF. Apart from that, there will be free flights & merchandise giveaways, along with cultural performances as well as celebrity appearances from Aizat Amdan, Aidid Marcello, Baki Zainal, Athena Beh, Rickman Chia and many more. Paradigm Mall is the main partner of the AATF, and to facilitate the anticipated traffic into Paradigm Mall during the fair; there will be FREE shuttle buses from the Kelana Jaya LRT Station to Paradigm Mall departing every 15 minutes for the convenience of all visitors throughout the three days. For more information and updated activities throughout the AirAsia Travel Fair, follow AirAsia on Facebook (facebook.com/AirAsia) and Twitter (twitter.com/AirAsia). 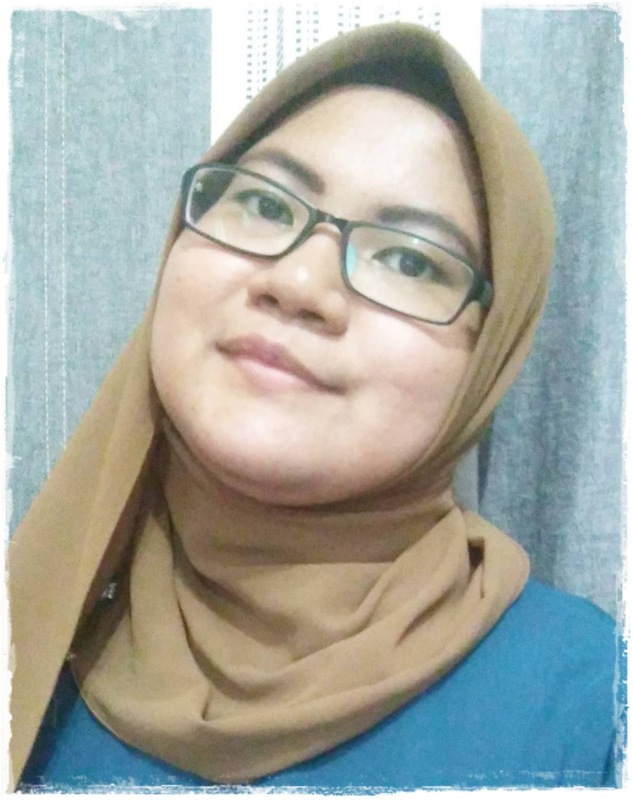 amboi.... jalan2 la sally... murah dah ni..
wah.. tawaran menarik tu sally.. tapi kena ada duit juga kalau nak travel ni kan..